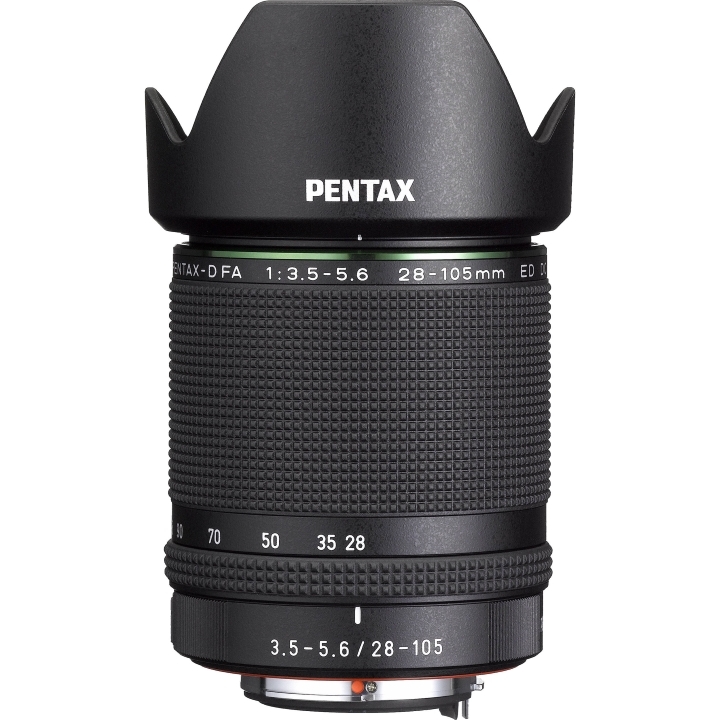 The Pentax D FA 28-105mm f/3.5-5.6 ED DC WR Lens is designed to accommodate the image circle of a large 35mm full-frame image sensor, thanks to the adoption of state-of-the-art optics and high-performance optical elements. 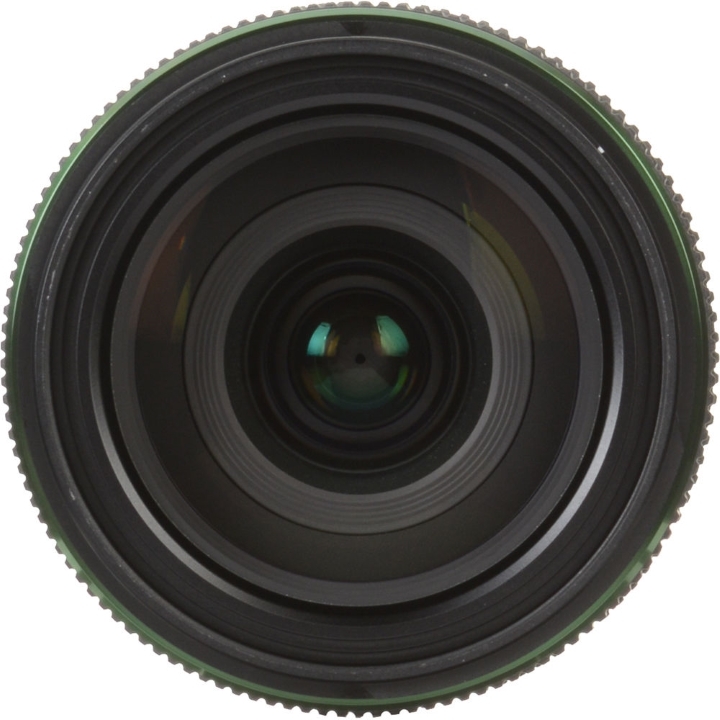 Despite its compact, highly maneuverable body, this versatile zoom lens is designed to accommodate the image circle of a large 35mm full-frame image sensor, thanks to the adoption of state-of-the-art optics and high-performance optical elements. When mounted on the PENTAX K-1 camera body, it delivers high-resolution imaging power, making it an ideal everyday-use lens for this new 35mm full-frame digital SLR camera. 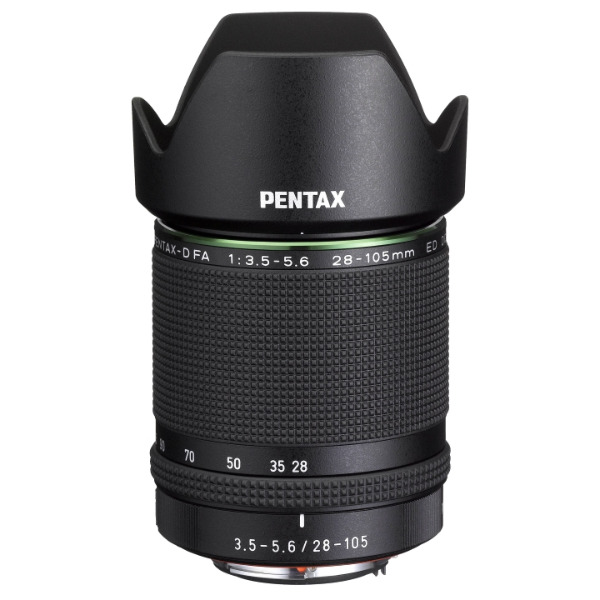 The Pentax D FA 28-105mm ED DC WR lens accommodates the image circle of a 35mm full-frame image sensor, and covers focal lengths between 28mm wide angle and 105mm medium telephoto. By incorporating the latest optics and a number of high-performance optical elements, it retains a sufficient brightness level even at edges of the image field, while effectively compensating for various aberrations. It delivers high-resolution images by optimizing the imaging power of the PENTAX K-1’s approximately 36.4 effective megapixels. 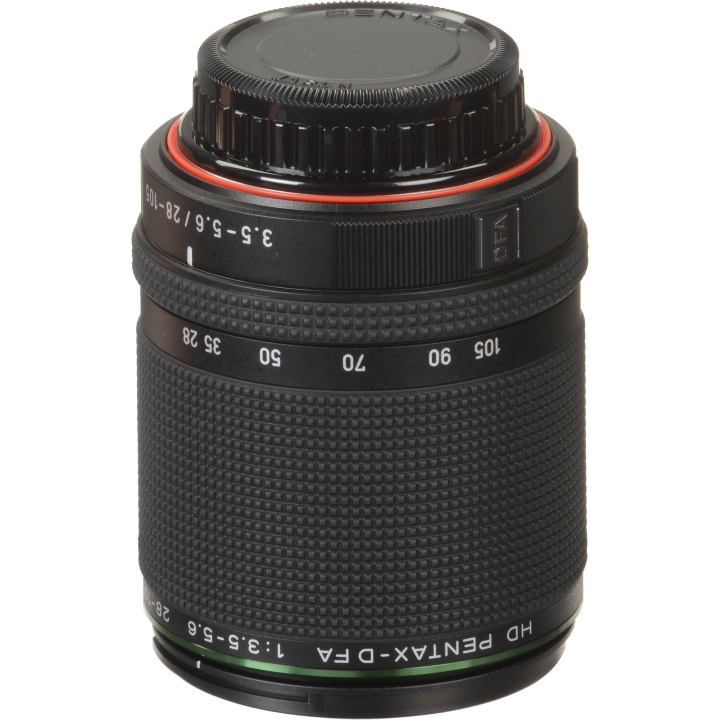 Its compact, lightweight body and excellent cost performance make this lens a perfect regular lens for the PENTAX K-1. In its 15-element, 11-group optics, the Pentax D FA 28-105mm ED DC WR lens incorporates two high-precision aspherical optical elements, one ED (Extra-low Dispersion) glass optical element and one anomalous-dispersion glass optical element, to deliver bright, sharp images with minimal chromatic and spherical aberrations. Since its optics is designed to assure ample resolving power for the large, high-pixel image sensor, it produces well-defined, fine-detailed images. 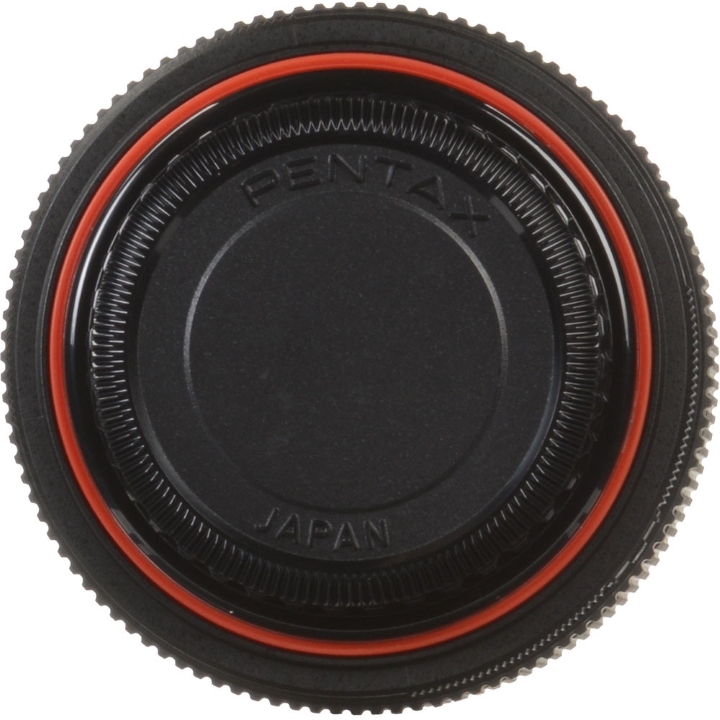 The Pentax D FA 28-105mm ED DC WR lens is treated with the high-grade, multi-layer HD Coating. * Compared with conventional multi-layer coatings, this PENTAX-original coating assures higher light transmittance and less reflection to deliver bright, high-contrast images that are free of flare and ghost images, even under demanding lighting conditions such as backlight. 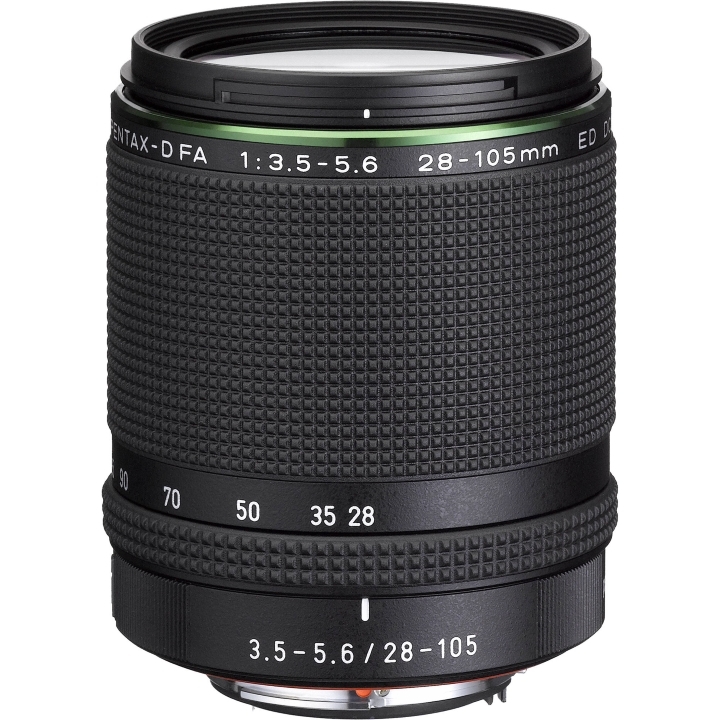 The Pentax D FA 28-105mm ED DC WR lens features a dependable weather-resistant construction with eight sealing parts to effectively prevent the intrusion of water into the lens interior. Paired with a weather-resistant PENTAX digital SLR camera body, it creates a durable, dependable digital imaging system that performs superbly in demanding shooting settings — even in rain or mist, or in locations prone to water splashing or spray. Rounded diaphragm to produce a smooth, beautiful bokeh (defocus) effect, while minimizing the streaking effect of point light sources.